No city or town is exempt from traffic accidents. Even for a small town like Hollywood, Florida, a crash can cause injuries, hospital bills, and expensive repairs in the blink of an eye. With major roadways like I-95 and 595, an auto accident can lead to serious problems and consequences that can affect you long after your vehicle has been repaired. Even in the safest of communities, a moment of reckless or distracted driving can lead to injuries or even death on the road. 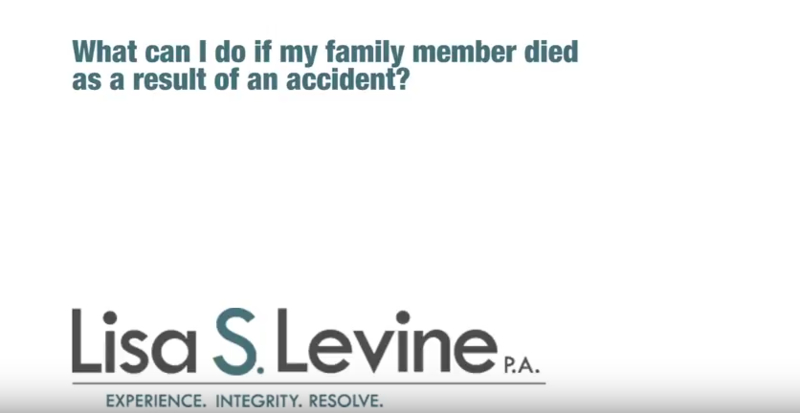 If you or a loved one have been the victim of a car crash, you can turn to a skilled auto accident lawyer in Ft Lauderdale to aid you in seeking fair compensation for the damages inflicted on you and your property. The responsibilities of operating a motor vehicle are not always respected by drivers. If a driver fails to act according to traffic regulations, that individual is negligent. If this neglect act leads to an auto accident that causes you or a loved one injury, that driver can be held responsible for their actions. Civil litigation can recover damages like medical bills, lost wages, or repair costs for you, and an experienced attorney can guide you through the process of seeking recovery. As an experienced Florida personal injury attorney who has helped hundreds of clients gain fair compensation for the difficulties they’ve faced through both settlements and trial, Lisa S. Levine can be there to skillfully handle the legal processes for you. 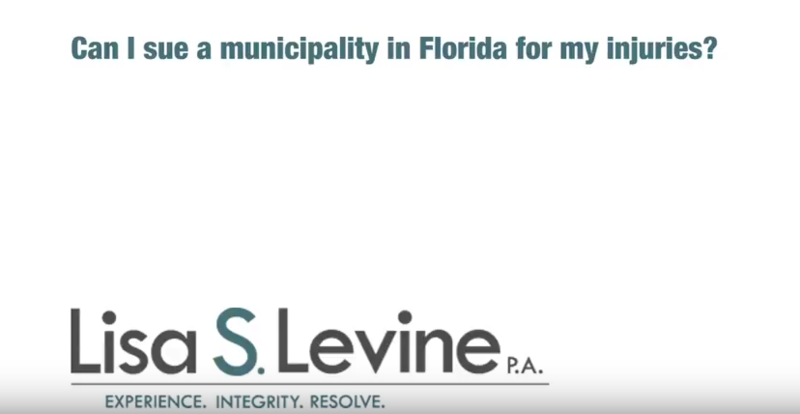 If you have been the victim of another driver’s negligence in Broward County, including Miami Gardens, Davie, Dania Beach or Hallandale Beach, Lisa S. Levine can help you find the best course for seeking a fair recovery. Her firm also aids those in the neighboring counties of Miami-Dade County and Palm Beach County. She carefully analyzes each case and examines every detail to uncover the best path for your claim. 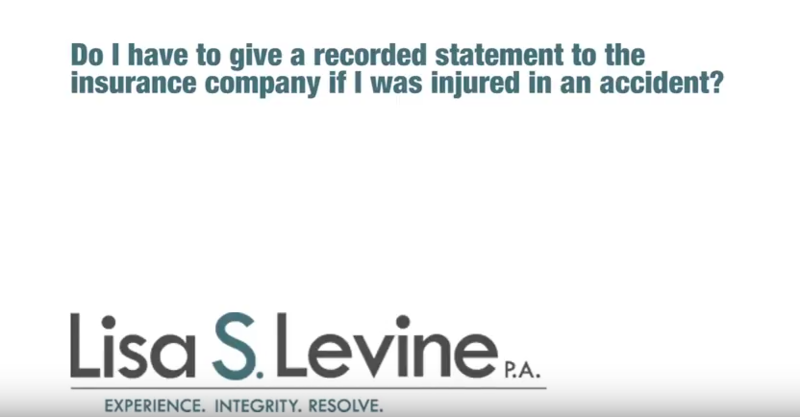 Trust Lisa S. Levine with your injury case. 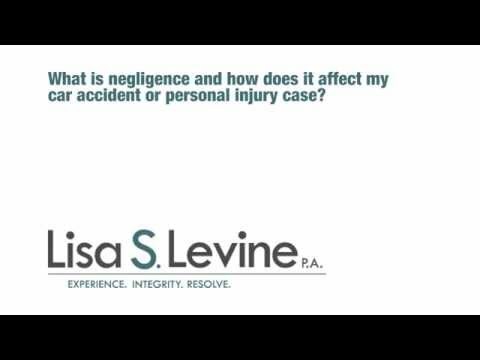 She proactively works to establish the negligence of the other driver and works towards obtaining maximum compensation for each client. 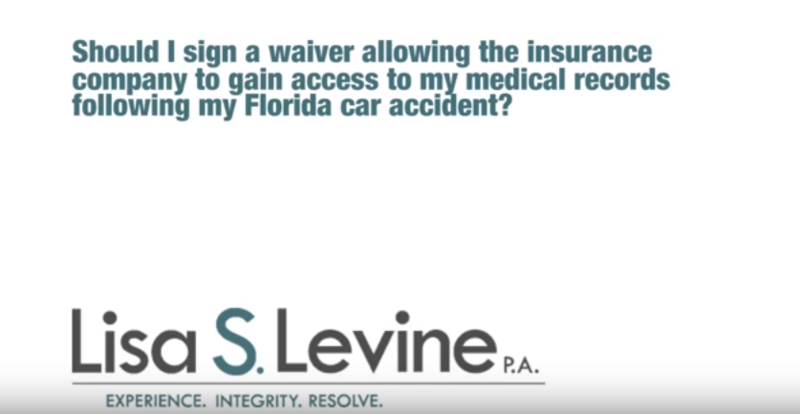 Call (954) 256-1820 today for your free consultation with a skilled car accident attorney. 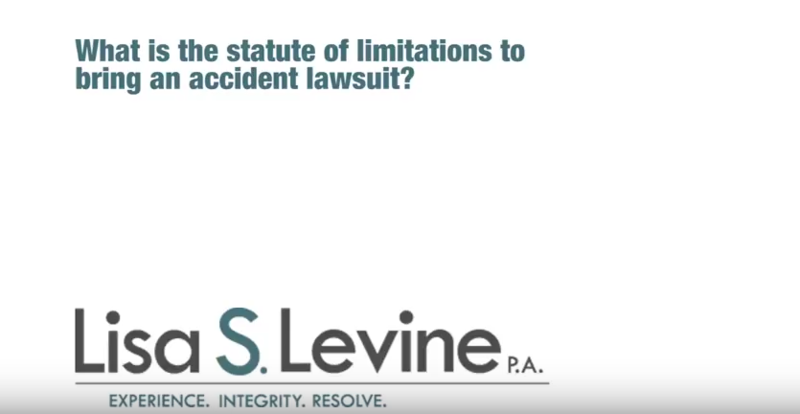 In all auto accident cases, the individual filing the lawsuit must accomplish several things. It must be established that the driver had a responsibility to drive in a certain manner and that the driver failed to follow through on this obligation and therefore put others at risk. 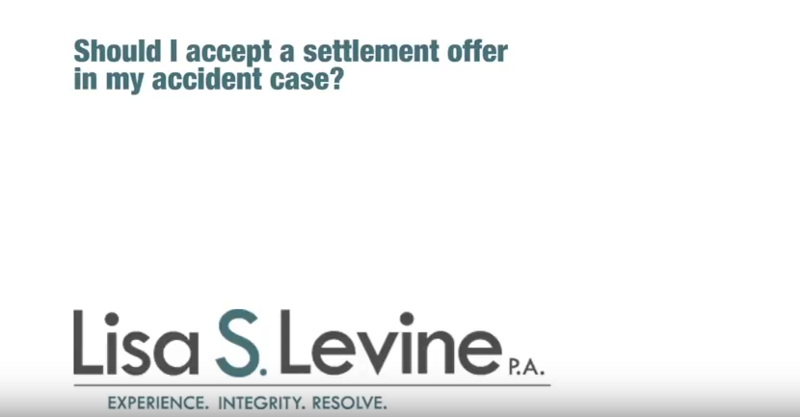 Furthermore, to establish what damages you are owed, you must prove that the injuries you are seeking compensation for where caused by the accident in question and you must establish exactly how much recovery is appropriate. 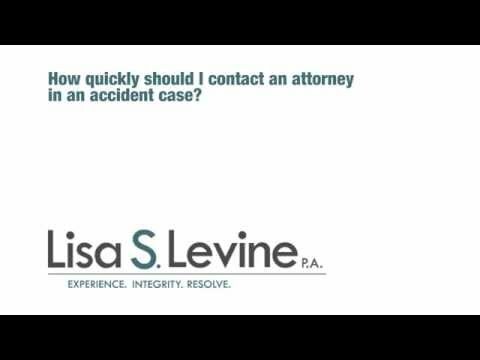 These are the basics that must be proven to establish that you are owed compensation after an accident. 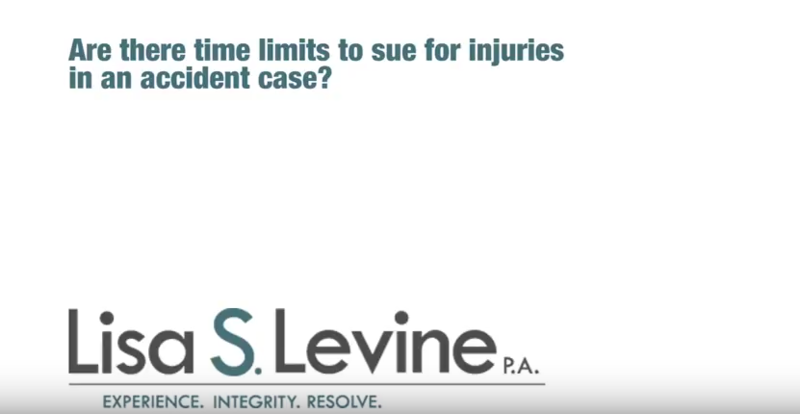 Although in a civil case, such as seeking compensation for personal injury, your case does not need to be proven beyond a reasonable doubt, you still must establish that it is more likely than not that you are owed compensation. 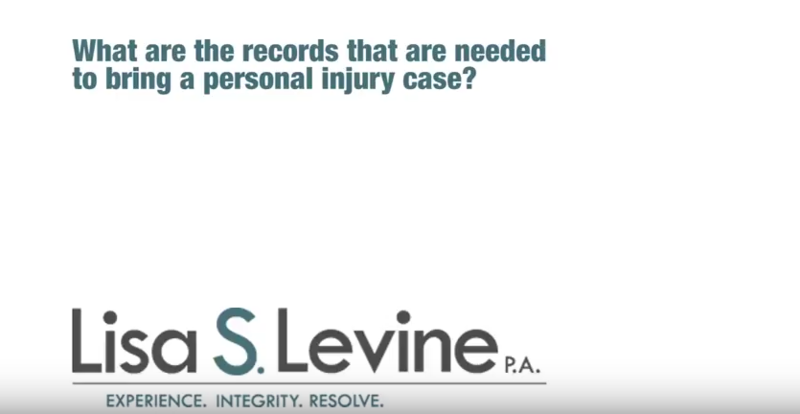 This still requires a skilled lawyer to ensure that your case is strong and thorough. Boating Accidents – Boating accidents can lead to a multitude of injuries, including drowning. 18-Wheeler Accidents – When large trucks like 18-wheelers are involved, serious injuries and fatalities are much more likely to occur. Pedestrian Accidents – If a pedestrian is injured by a vehicle, serious injuries are almost assured. Medical bills can pile up quickly. Motorcycle Accidents – A motorcyclist can easily be involved in a crash because of the smaller presence of the bike, and catastrophic injuries can more easily occur. Car Accidents – Even small accidents can have surprisingly large impacts in a range of situations. Jet Ski Collisions – Because the drivers usually have very little protective gear, Jet Ski accidents can cause serious injuries. Broward County Courthouse – You may need to go here for a hearing or paperwork. Information on forms, hours, and location can be found here. Broward County’s Sherriff’s Office – The County’s sheriff may be able to provide more information surrounding your accident. Hollywood Police Department – The official page of Hollywood’s local police is here. All traffic accidents must be reported to law enforcement, and they will have information on record for accidents that have occurred. The negligence of another driver can have a huge impact on your life. A motor vehicle accident can result in injuries the will affect you for years to come, and you can seek recovery for medicals bills and your pain. 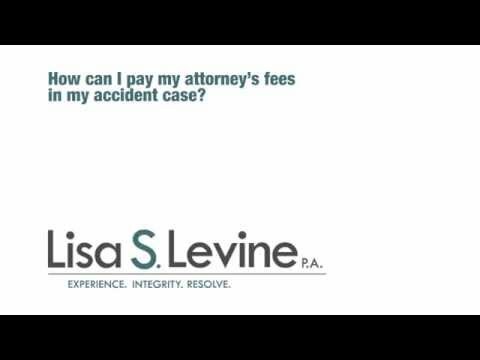 Experienced legal aid is critical for seeking maximum compensation, and you can turn to Lisa S. Levine for a skilled attorney who will proactively fight for the compensation you deserve. 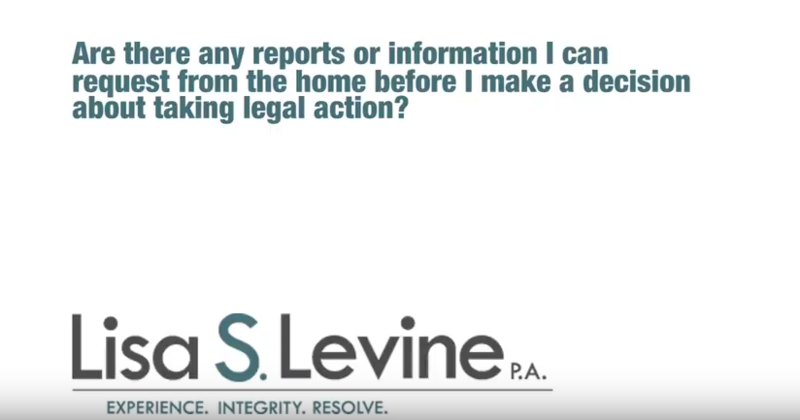 To begin receiving experienced legal counsel, schedule a free consultation with us today. Call (954) 256-1820 today for a Hollywood, Florida attorney that you can trust.